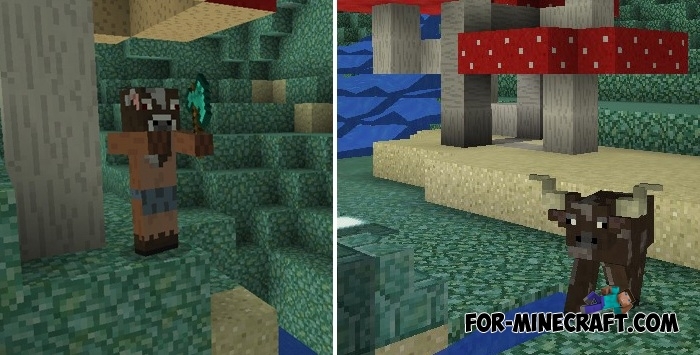 Here is a complex addon that adds everything that can be replaced in Minecraft PE. U will meet fairy-tale creatures everywhere, find new objects and build colorful houses from new blocks. Twilight Forest is not only an addon but also a map in which you will fall into a new dimension. It's not like the nether, so do not be afraid to get there. It is best to install this addon when the original game is no longer interesting for exploration or walking. Very often, players get bored and forget about the world around them. As you know, the Twilight Forest addon replaces vanilla mobs with creatures from fairy tales and movies. 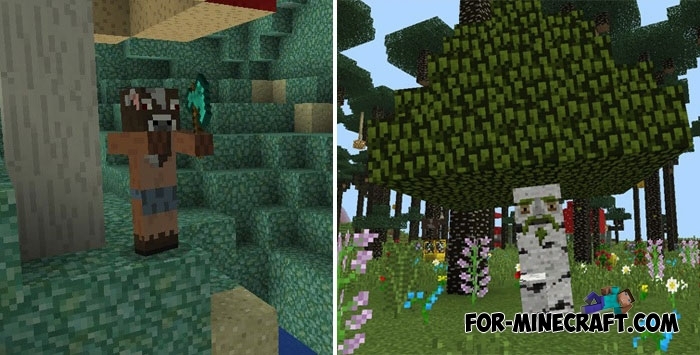 They have a very high-quality texture and sometimes it seems that the new mobs were originally added to MCPE. It's not difficult to guess which creature is aggressive, the appearance will tell you about it. Wood planks can now be painted in the color you want. To do this, look at the recipe and change the color. What addon can do without lucky blocks? Break these yellow boxes and take out precious things if you're lucky. 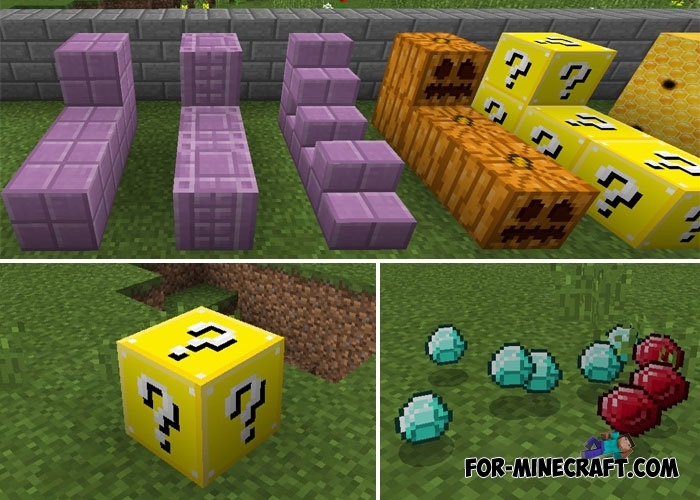 There are also other blocks that you will see directly in Minecraft. How to install the Twilight Forest addon?